You know Jason Lytle: the ex-Grandaddy songwriter/ frontman who keeps ELO-influenced bedroom-pop symphonies under his trucker’s hat. 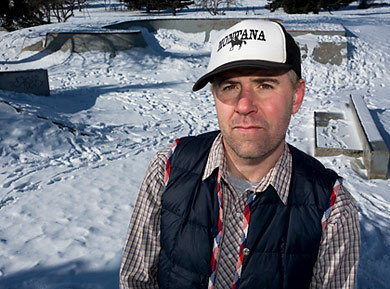 As detailed in our 2006 cover story and recent Q&A, Lytle decamped from Grandaddy and the West Coast for the wide-open spaces of Montana and even sweeter sonic vistas. His debut solo album, Yours Truly, The Commuter, arrives May 19 on Anti-, the haven for indie prestige artists. Download album track “Brand New Sun” below; Lytle is scheduled for a series of tour dates with labelmate Neko Case in June.